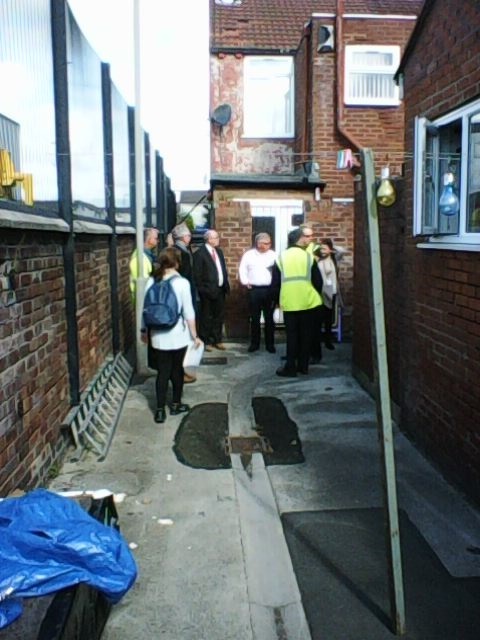 Yesterday a group of us joined Cllr Steve Munby on a walk about around the Dingle to look at the waste management and also some green spaces. Our first stop was the Groves just off Park Road and we were particularly looking at the recycling and which collection system works the best for the residents, whether it was the bags or the bins. Down the first alley we found a hidden gem. 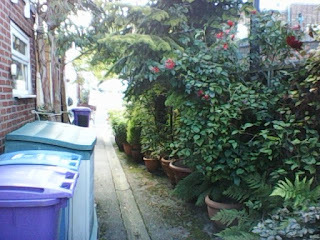 A couple of residents had started to take ownership of the alley and take pride by a way of greening it. this gave myself and Michael encouragement. It really is positive to know that local residents are making changes and are taking care of urban spaces even if it is an alley way. If anyone would like to discuss how to green there alley way why not drop us an email.